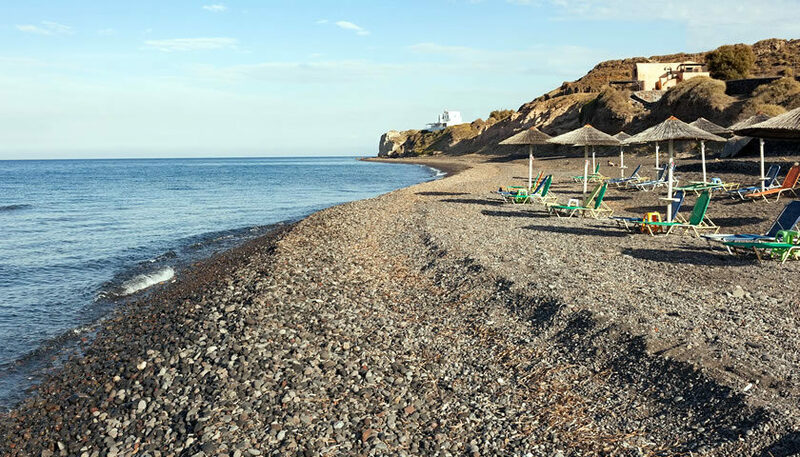 Koloumpos beach (also called Koloumbos, Kouloumpos, Coloumbo or Culumbus) is one of the most quiet and beautiful beaches of Santorini and is located in Oia area, south to Paradeisos and Baxedes beach. 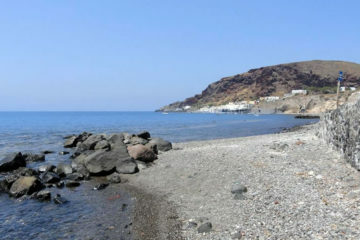 It is one of the most unspoiled beaches of Santorini, long with black sand and small pebbles. The water is relatively hot as there is an active volcanic crater in the sea just a few kilometers from the beach. It is surrounded by high cliffs which offer shadow on the beach as the sun falls. 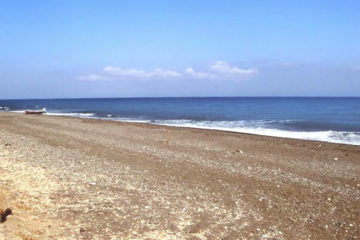 Nice long beach which is preferred by nudists or people that enjoy quiet! 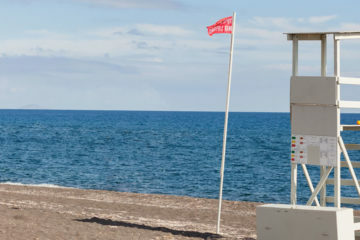 In most parts of the beach there are no facilities like sunbeds or canteen, so you should be prepared and carry with you all you need for a day at the beach. Located about 6km from Oia, you can access Koloumpos by car which you will park on the street above the beach. Then you have to follow the path down to the beach.